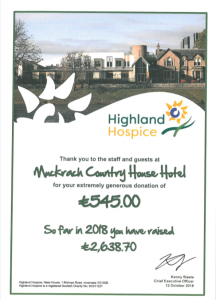 We are so pleased to announce that since the start of 2018 we have been raising money for the Charity the Highland Hospice. The Highland Hospice is a crucial organisation who support people, their families and carers living with an advancing, life shortening illness. The Hospice is an independent local charity reliant on the community. 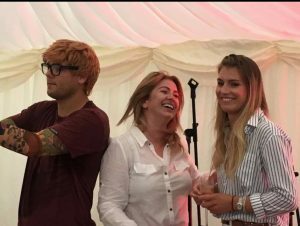 The first weekend in October we had two events here at Muckrach Country House Hotel; Macbeth’s Way an interactive play & Event in a Tent an evening of entertainment and tribute acts. All profits made from these events went to the Highland Hospice, which was a total of £545.00. 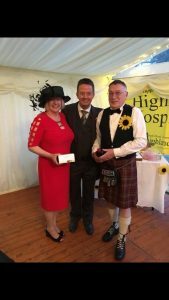 So far this year, we are so pleased to announce that we have raised £2,638.70 for the Highland Hospice. Thank you to all of those involved in helping us to raise money, we hope to add to this total by the end of the year.